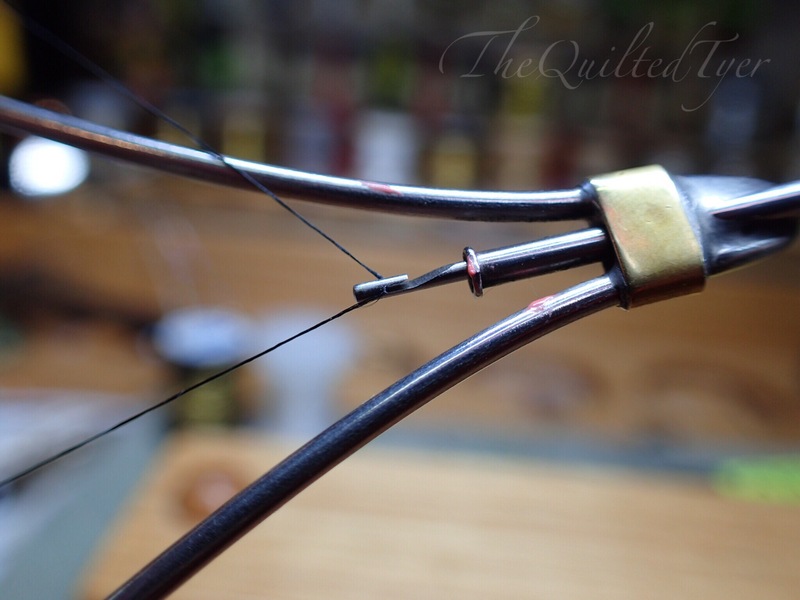 Before bobbins were used tyers simply used a length of thread in between their hands to tie flies. I myself have tied without a bobbin as well, but it was only because I had broken it and didn’t feel like leaving to buy a new one. While it wasn’t the most efficient way to work; it had gotten the job done and in the same amount of time. 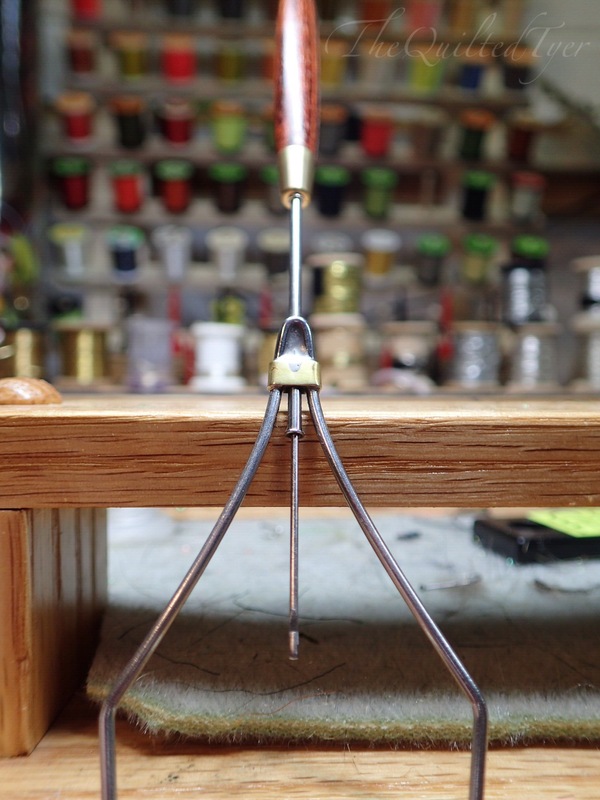 If you are new to fly tying or a participant our Project Healing Waters or Kids On the Fly group, you can rest easy knowing that when you come for your first session, we always take the time to go over all the basics with anyone who is new before they start tying. These basics are how many of us begin our journeys behind the vise, and it’s where you will start to build your skills. 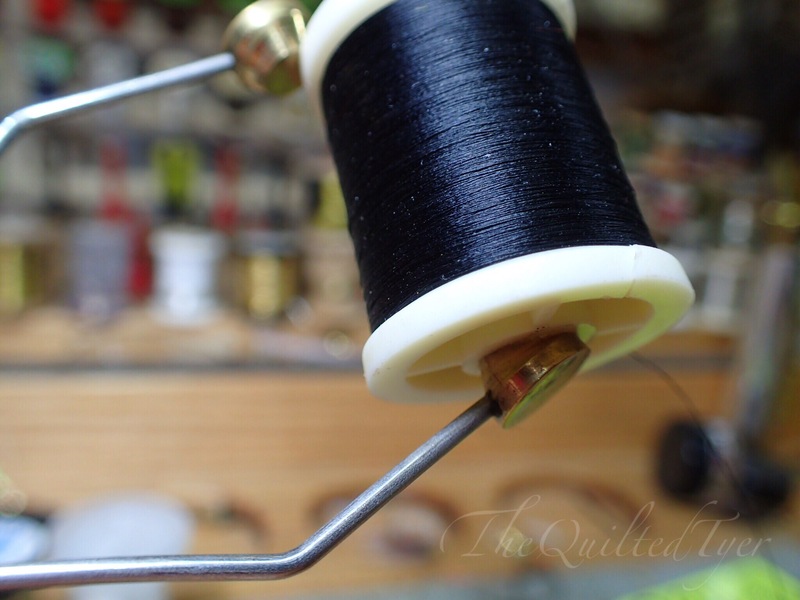 Two such things you will do on a repeated basis (until you become a little bit obsessed.. go out and buy a whole bunch of Bobbins so that you don’t ever really need to change your thread) 😂 are “loading” and “threading” them. Here they are, thread and bobbin. When you buy a new spool of thread you may find that there are stickers over the open holes you see in the photo above. 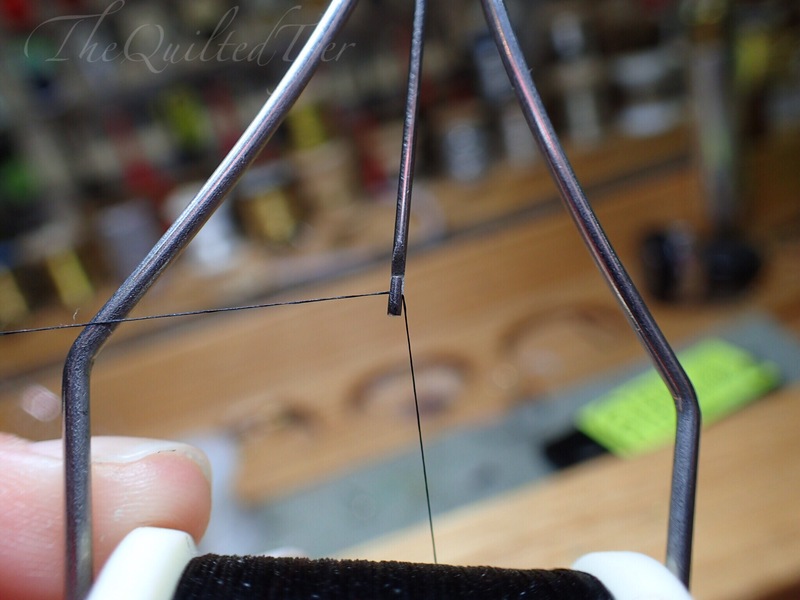 Before trying to load your bobbin to the spool, be sure to clear the holes. 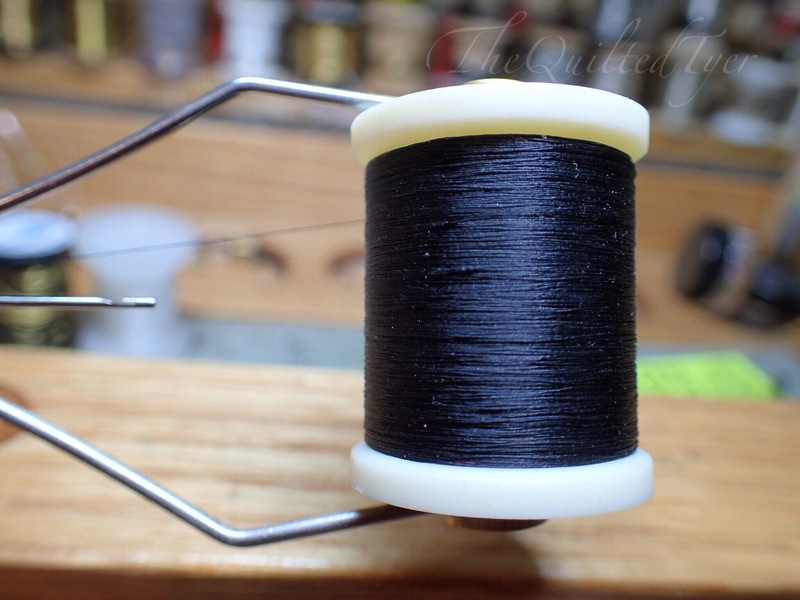 If you don’t do this, you will find that the spool will have trouble spinning freely as you tie. 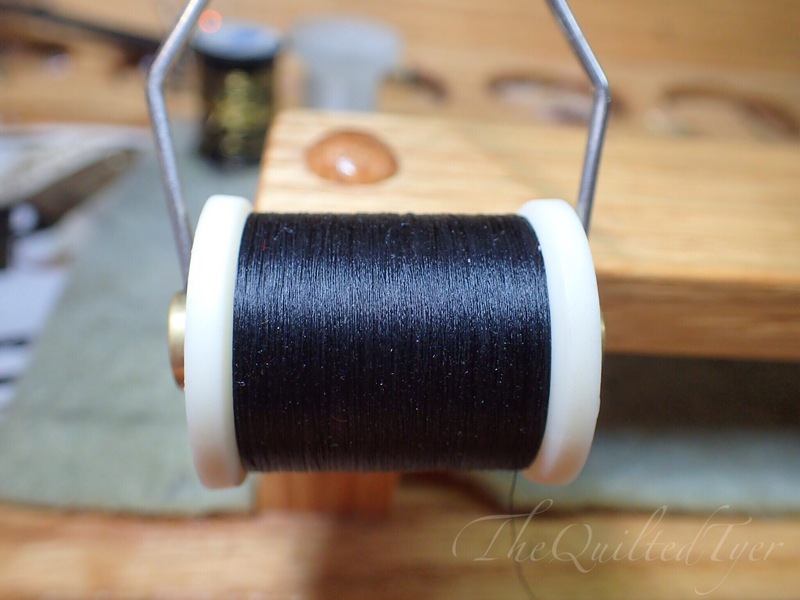 With the holes cleared, take the spool of thread in one hand and the bobbin in the other and position one of the round ends into that spool hole. Now with your other hand grab the spool and place one side of it into the bobbin. 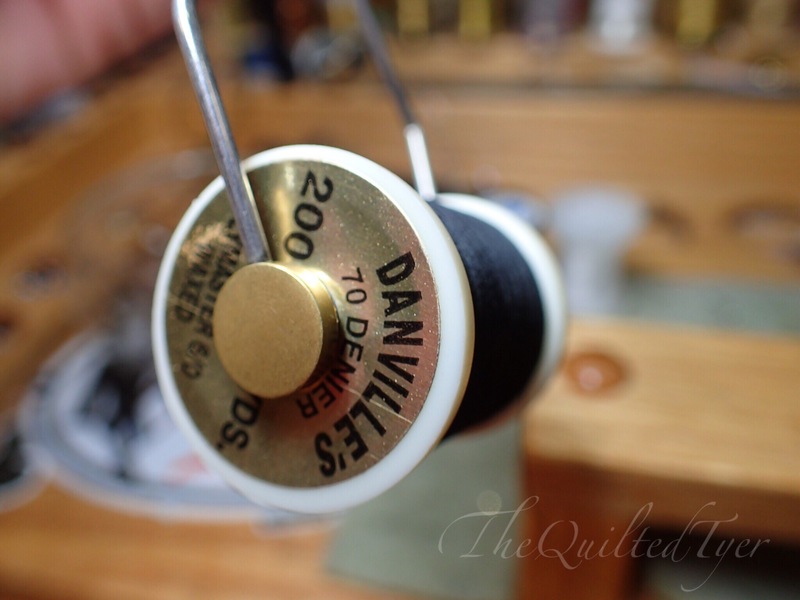 Once you have the spool in, make sure it’s secure by wiggling it a little before threading it. 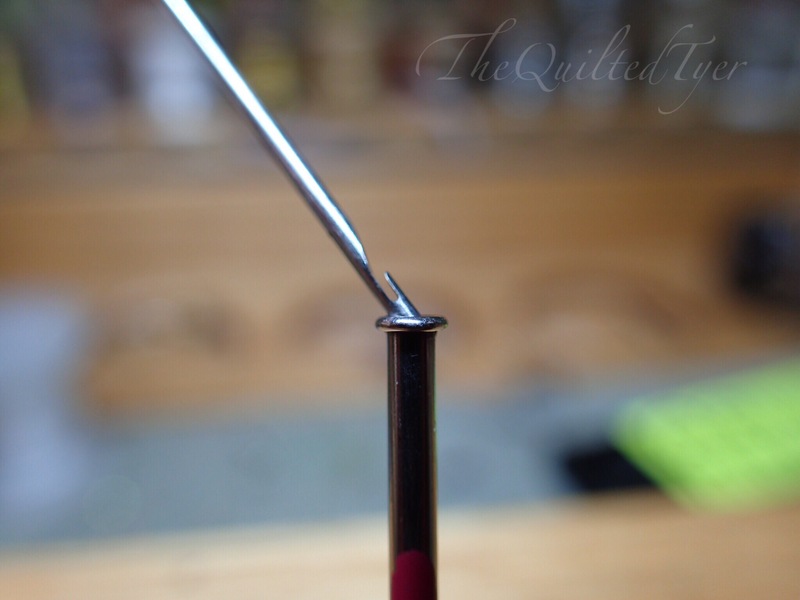 Now when it comes to threading a bobbin, there are a few different tools. But to save you the hassle of running down a list of the ones that dont work as well, ill skip right to the one that does. And this one of them. 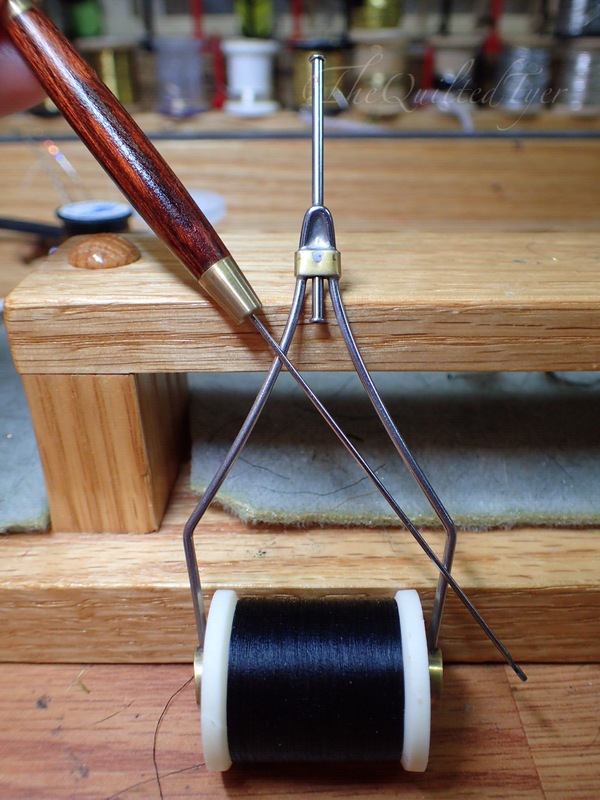 This is my favorite bobbin threader. As you can see from the photo this threader is made out of one piece of metal. 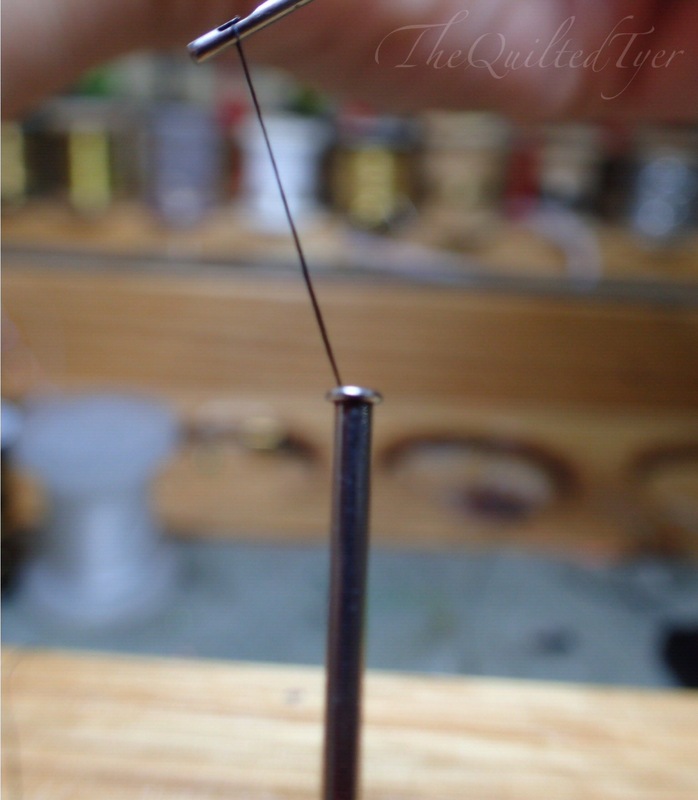 The one you have may be a piece of metal with a wire loop on the end; they will both get the job done as the technique is the same. Upon closer inspection you can see that the end of the threader has a hook on it which is the secret behind this little gadget. Insert the hooked (or wire) end into the end of the bobbin. Drop it in and it will come out the other side. 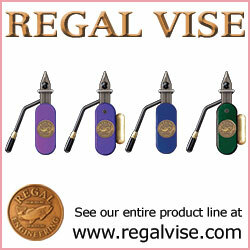 If you are using the wire loop threader, simply push it through to the other side. 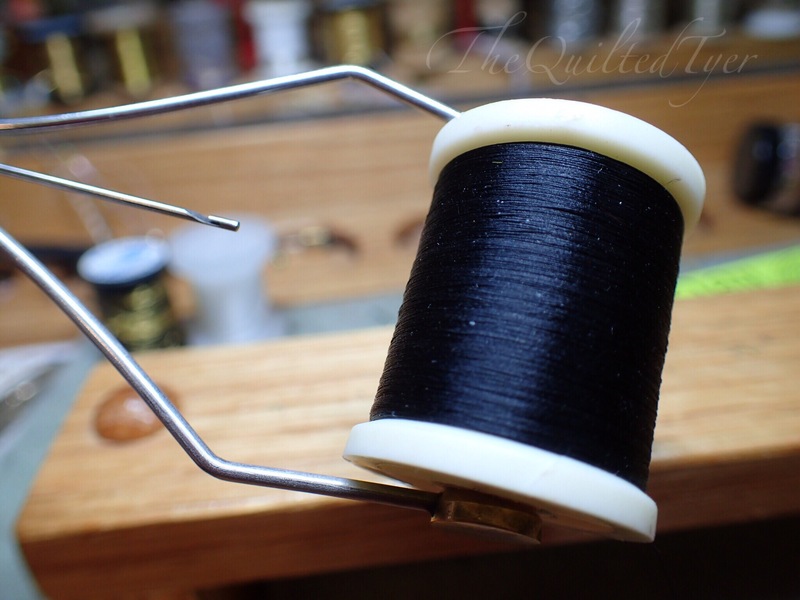 Now Pull a length of thread out of your spool about two inches longer than the length of your bobbin, and hold everything in one hand. You should be in this current situation now. Here is where the threading happens. 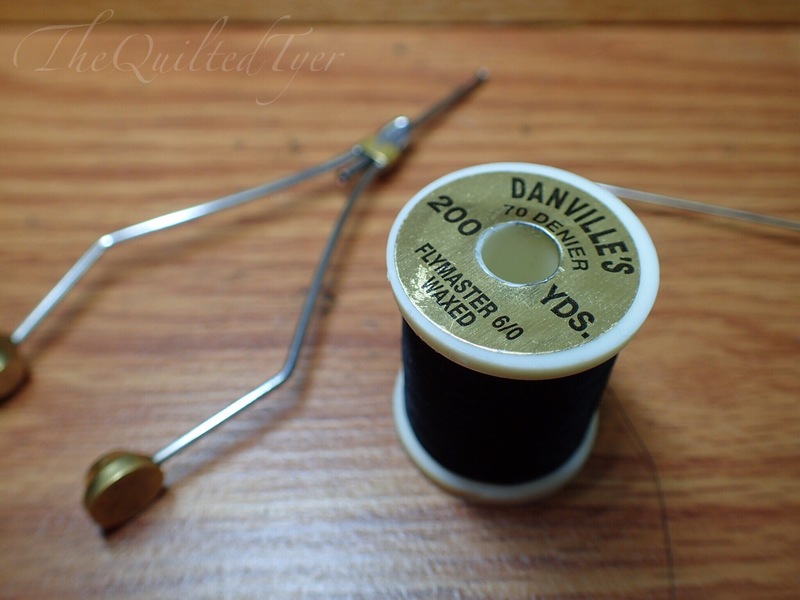 However you want to hold it is up to you but I find that holding the bobbin and threader combo in one hand, while using the other hand to loop the thread over the hook is the best way. 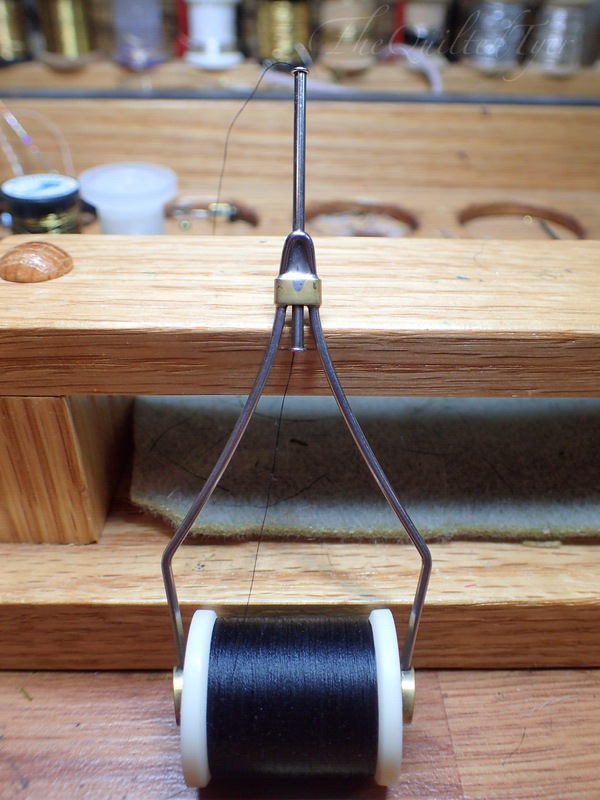 Use one hand to hold bobbin/threader combo and then use the other hand to loop the thread over the hook. 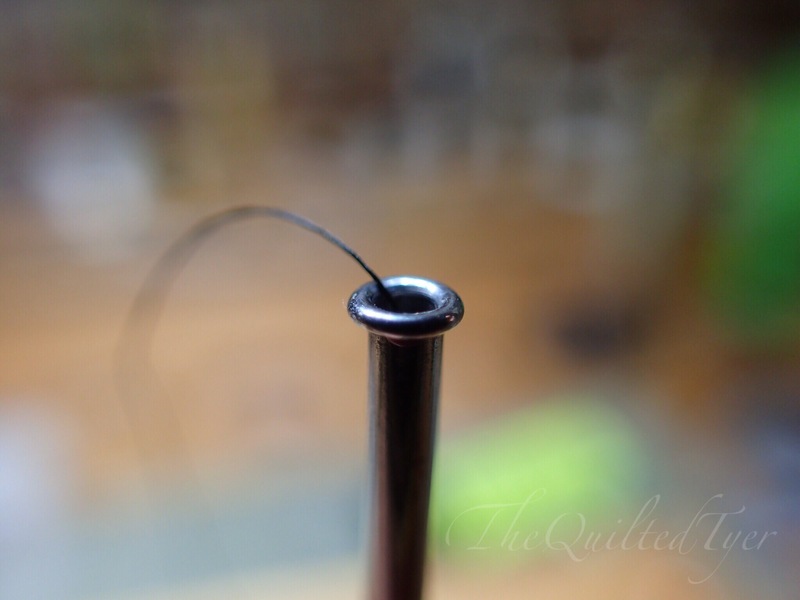 If you have a wire bobbin threader you will insert one end of the thread through the wire loop instead. Hold the looped over (inserted) thread taught in one hand. 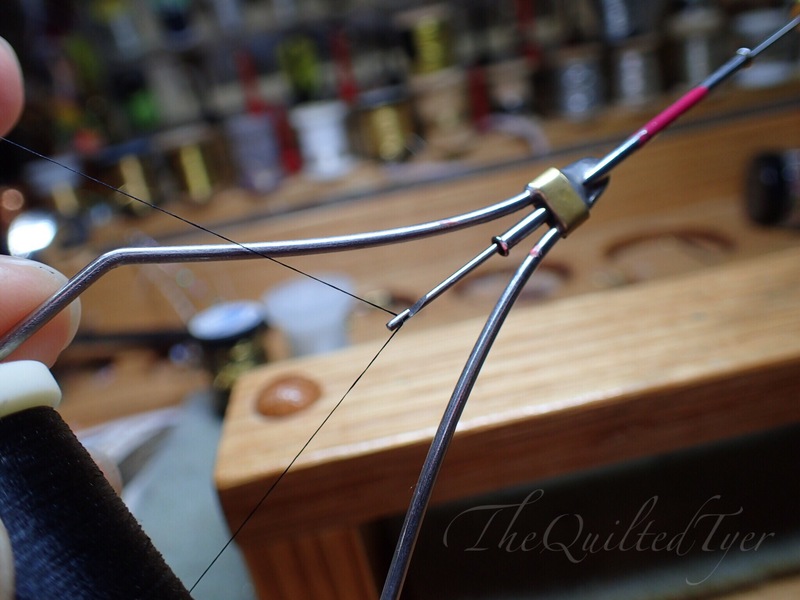 And begin to pull the end of the threader back the way you put it in. This will take the hooked thread with it. Keep pulling while keeping just a little tension on that loose thread with the other hand so it doesn’t slip. Pull up and all the way through. That’s it! You’re loaded and threaded and ready to tie. 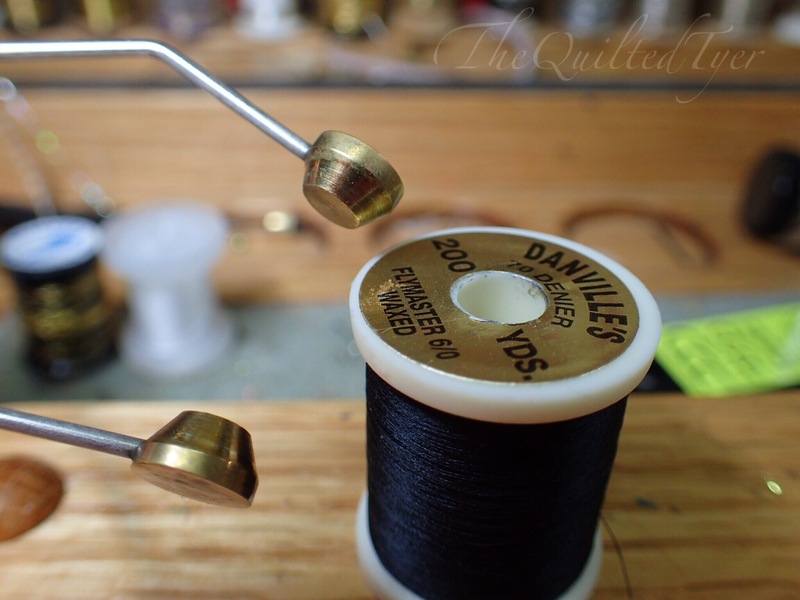 If you find that you are having trouble getting the spool to spin freely, (especially when they are new) what you have to do is take off the thread and grab those two arms that hold the spool in place, then slightly pull them apart. Almost like you are separating a wishbone. So don’t pull too hard because its going to be more difficult to try and push it back together while keeping it aligned than it is to open it a little at a time. You wont need to do this every time, just until you break them in. Also make sure that you dont have any stickers which are keeping it from spinning freely.